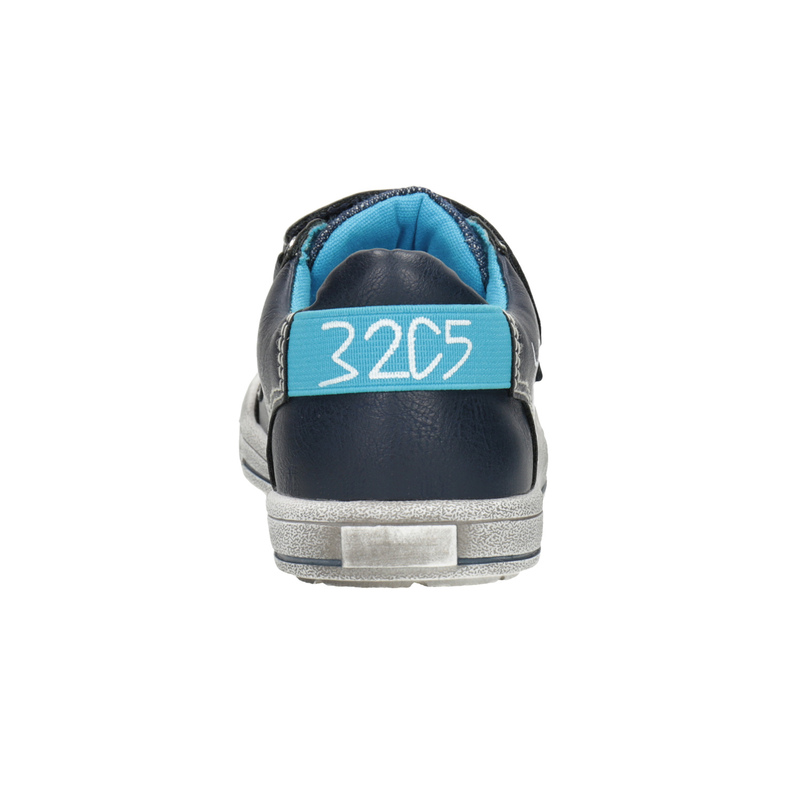 These casual children's sneakers have a timeless design and a dark upper embellished with interesting print. The elastic stripe on the heel blends with the blue lining and inside there is a leather insole. 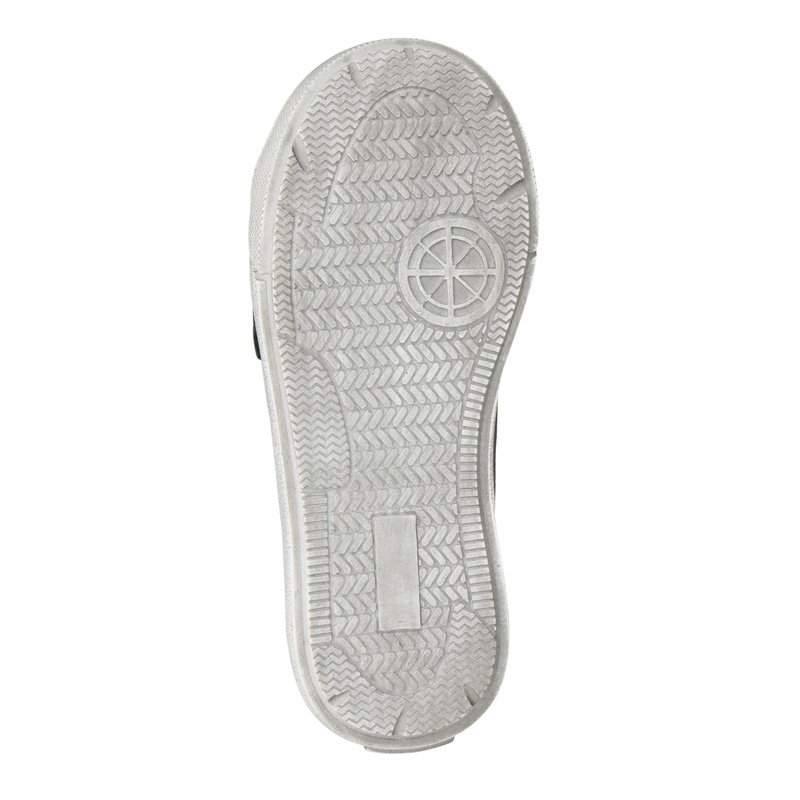 The comfortable sole is set in a trendy design and the Velcro closure is the icing on the cake. 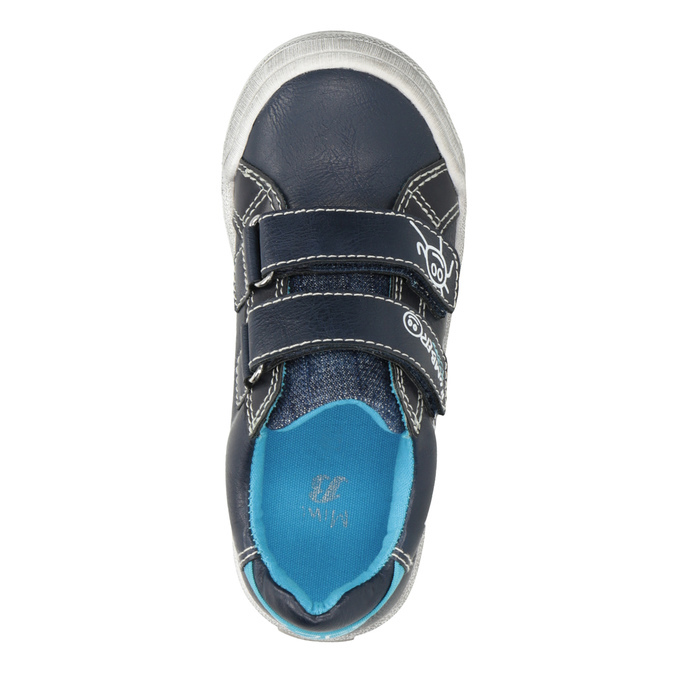 Universal footwear for boys or girls.